There are some other’s in this section that are possibly rabbonim. There was a famous Alexander Harkavy who wrote a English-Yiddish dictionnary, perhaps he is related to this Rabbi. Who was Baruch Bandat? Is Bandat a second name or a last name? 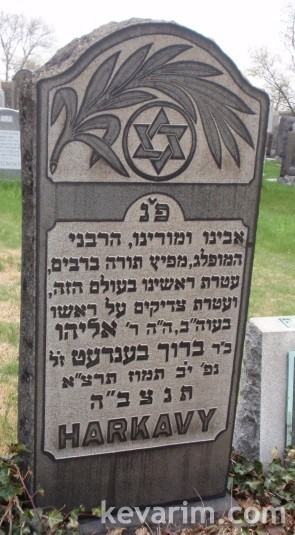 If so why did the rabbi go by the name Harkavy? Bendat is a first name. Its worth to note that the name Hrakavi is written in Hebrew = הרכבי (for research refrences).